Eggleston has 20 10 by 10 storage units in a locked, fenced in area beside the pawn shop. 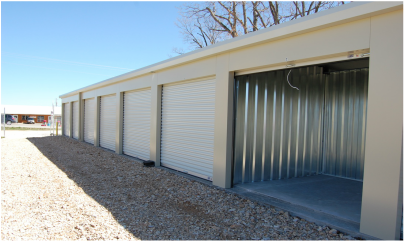 Plans are in the works for more storage units with 24-hour access soon. A variety of U-Hauls and trailers are available for pick up and drop-off at Eggleston Trade and Pawn in Seligman. Reservations can be made in store or online. Eggleston Trade and Pawn Shop in Seligman is undergoing big changes and expanding services for the people of southwest Missouri. By opening up new storage units and offering U-Haul rentals, the choices are more than just the standard pawn shop. Eggleston Trade and Pawn has been co-owned by Terry Burgess and Darren Eggleston since June 2011. The shop, which sits on Highway 37 in Seligman, started offering U-Haul rentals in September 2014 and opened the new storage units in January. The storage facility is in a locked fenced-in area which is open from 8 a.m. to 9 p.m. or later upon request. 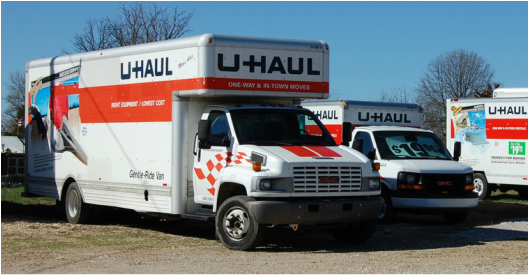 If you need a U-Haul to move into or out of your storage unit, that’s available, too. At any given time, Eggleston rents out three to seven trucks and trailers a week. Reservations can be made by calling the shop or going online to Uhaul.com and requesting a truck there. Customers can also purchase moving boxes and supplies for their move. Some speciality boxes, such as for flat screen tvs, are also available. On the pawn side of the business, a new pawn program is also drawing attention. Burgess said, “We’ve got a new program where we’re offering seven-day free loans on pawns up to $500.” So, based on the value of an item, people can get up to $500 and, if the item is picked up within seven days, no interest is charged. The offer is only available for new customers. Inside the shop, everything from guns, tools, ammo, televisions and video games are offered. There is a little bit of everything, offering a wide array to suit people’s needs. While you’re at the shop, don’t forget to bring your propane tank for a fill up for grilling season. Burgess said, “People don’t realize when they trade in their tanks, they’re usually paying 25 percent more for 25 percent less propane.” Typically, when a 20-pound tank is traded in for a full one, it is only filled with 15 pounds of propane. However, when a tank is refilled, Eggleston fills it with a full 20 pounds. Eggleston Trade and Pawn is located at 30889 State Highway 37 in Seligman. They can be reached at (417) 662-3000, on Facebook under Eggleston Trade and Pawn or by email at 37pawn@gmail.com. They are open Monday through Friday from 10 a.m. to 6 p.m. and Saturday from 9 a.m. to 3 p.m.